The Goldenvoice company will again offer Coachella Valley residents an opportunity to buy passes to its Coachella and Stagecoach music festivals, two days before each weekend event, it announced Wednesday. Residents may purchase no more than two passes per person to each of the festivals. Passes to the April 14-16 Coachella Weekend One go on sale Wednesday, April 12; passes to the April 21-23 Coachella Weekend Two will be available Wednesday, April 19, and/or passes to the April 28-30 Stagecoach country music festival will go on sale on Wednesday, April 26. Festival passes will be available for purchase in person at the Festival Box Office at the Indian Wells Tennis Garden, at 78-200 Miles Ave., Indian Wells. One thousand festival passes per weekend will be available from 9 a.m. to 7 p.m. each day or while supplies last. 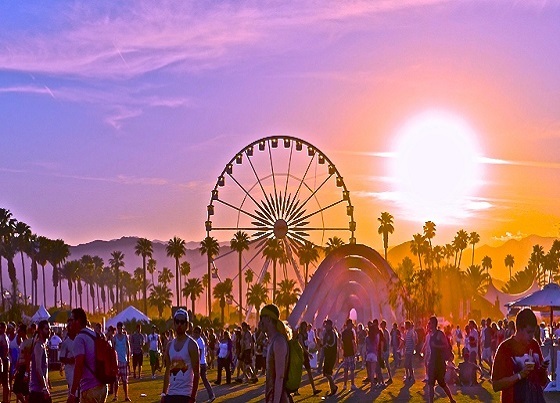 General admission passes are $399 each for Coachella and $329 each for Stagecoach – all fees included. Prices are subject to change. Individuals may buy two passes per weekend per resident, while supplies last. Wristbands will be placed on the wrist of the resident purchaser and their guest by the box office staff; and the guest must be present. Resident passes may only be purchased for use by valley residents and their guest. Proof of residency must be shown in the form of a California driver’s license or ID card. Passes are non-transferable. The offer extends to those residing in the Coachella Valley from Palm Springs to Mecca. Zip codes include: 92201, 92202, 92203, 92210, 92211, 92230, 92234, 92236, 92240, 92241, 92253, 92254, 92255, 92258, 92260, 92261 – 92264, 92270, 92274, 92275, 92276 and 92292. The Coachella Music and Arts Festival is being headlined by Radiohead, Lady Gaga, and Kendrick Lamar. Stagecoach: California’s Country Music Festival will be headlined by Dierks Bentley, Shania Twain, and Kenny Chesney and feature roots rockers such as Jerry Lee Lewis and Los Lobos. Both festivals will be held at the Empire Polo Club in Indio.